1.2. SI contribution rates and methods of employees and employers; salaries as a basis for making SI contribution shall comply with regulations in Article 12, 13 and 14 of Decree No.143/2018/ND-CP. 2.1. 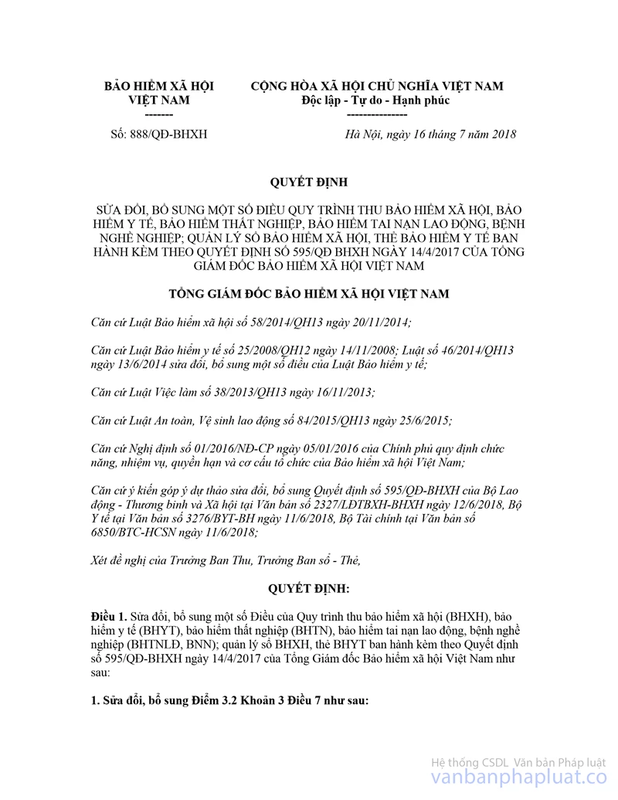 Applications and forms used for management of SI contribution collection shall comply with the guidance provided in Decision No.595/QD-BHXH dated April 14, 2017 of Vietnam Social Security; Declaration forms for participation in or adjustments to information about participation in SI and health insurance program (Form No.TK1-TS) shall comply with guidelines provided in Decision No.888/QD-BHXH dated July 16, 2018 of Vietnam Social Security; applications and forms in English and Vietnamese issued together with this Official Dispatch. + Fill in the fields , , ,  and , Section II if there is any change to information about first name, surname, SS codes, gender, and nationality. - Information about full name, gender and nationality shall be provided by using the International Phonetic Alphabet. The enclosed documents regarding changes to information issued by a foreign authority shall be translated into Vietnamese and certified as per Vietnamese law provisions. 2.2. 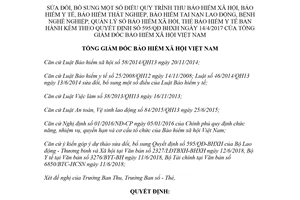 Procedures for SI contribution collection; management and issuance of SI books: Follow the same procedures applied to Vietnamese employers and employees participating in social insurance, health insurance and unemployment insurance program under the guidance provided in Decision No.595/QD-BHXH dated April 14, 2017 of Vietnam Social Security. - provide guidelines, check and urge Social Security Administrations in provinces and cities to take actions as regulated. - continue to study and complete forms of SI contribution collection and SI book used for foreign employees. - adjust the software used for management of collection- booklets and cards (TST) for local Social Security Administrations to collect SI contributions and management of such collection; issue and manage SI books for foreign employees as regulated. - instruct providers of services of e-declaration to adjust the software used for guarantee of declaration of participation in compulsory SI program for foreign employees as regulated. c) Other entities affiliated to Vietnam Social Security shall, as authorized and assigned, cooperate and provide guidelines for management of collection of SI contributions made by foreign employees participating in compulsory SI program. - cooperate with labor state management agencies in grasping and determining participants in SI program that are foreign employees for providing guidelines on implementation. - instruct employers to make applications for registration of participation in compulsory SI program for foreign employees as regulated. 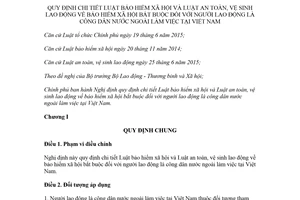 Use the specified forms in Vietnamese and English. - If the employer has both Vietnamese and foreign employees who are required to participate in compulsory SI program, a second code shall be set up for supervising and managing collection of SI contributions made by foreign employees. 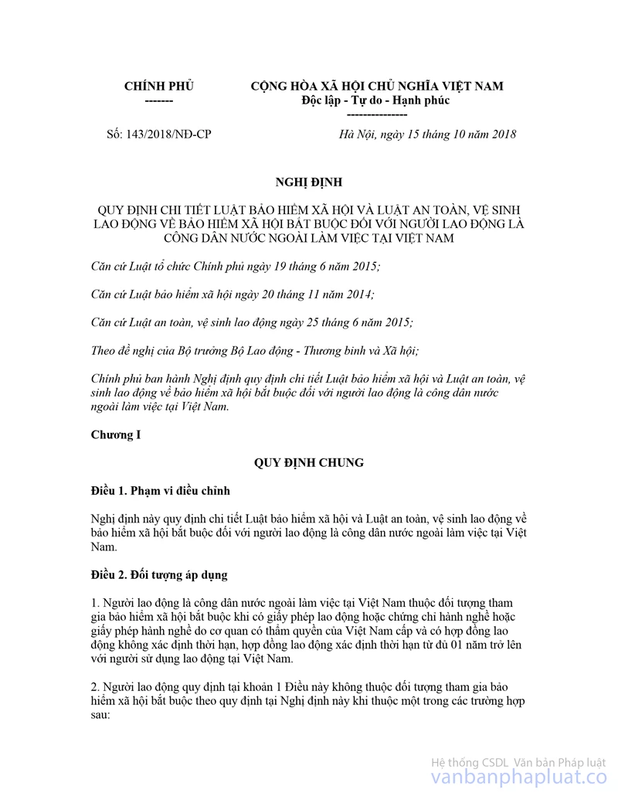 Above are some instructions for applications and procedures for SI contribution collection applied to foreign employees participating in compulsory SI program; Should any question arise during implementation, the entities concerned shall promptly inform Vietnam Social Security for further instructions./.